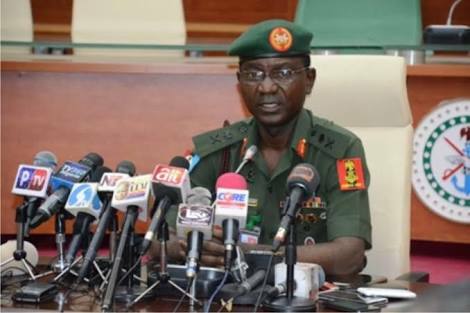 Nigeria’s Defence Headquarters (DHQ) has urged Nigerians to disregard allegations about the spread of Monkeypox through military medical outreach. Director of Defence Information, Major General John Enenche, in a statement on Saturday explained that the medical exercise in the South East was a normal medical operation that had been replicated in other parts of the country. He said the Armed Forces of Nigeria has been in the global best military practice of impacting on the lives of Nigerians through medical outreaches. “In this regard, quick impact medical outreaches are usually conducted during deliberate operations such as the war against insurgency and terrorism in the North East and routine training exercise like Egwu Eke II in the South East among others” the statement read. “Particularly, the Nigerian Army on several occasions as afore-stated carried out medical outreaches in virtually all the geo-political zones of Nigeria without any observation in the past. "The same goes for the Nigerian Navy that does same during all its exercises in southern parts of the country. Similarly, Nigerian Air Force is equally in the limelight of medical outreaches including victims of natural disasters all over the country. "Categorically, the practice of reaching out to the general public medically is akin to the key task of securing the lives and property of Nigerians. Therefore, it has and can never be done with ulterior motive. “Nigerians should be assured that, the Armed Forces of Nigeria will continue to carry out its all-encompassing constitutional responsibility of ‘national security’ of which health security is inclusive. “It is the machination of the usual mischievous and disgruntled human gongs, who are always in the business of blackmailing the Military for their myopic selfish interests. "The Defence Headquarters hereby assures the general public of its commitment to genuine and sincere medical outreaches by members of the Armed Forces as it were. “This is in view of the positive impact it has had on the local populace in Nigeria. All insinuations regarding medical outreaches by the Nigerian Army, Navy and Air Force in the country should be disregarded”, Enenche added.